Branding is all about connecting with the intended audiences in the most convincing manner. In this corporate world, which is full of competition, your brand needs to stand out from the crowd with a compelling identity. And, that starts by crafting an attention-grabbing logo. A logo is the face of your brand, which accentuates a subtle glimpse of your goals and objectives. Mainly, when we talk about the logos of automobile brands, we notice the prominence of class, elegance, and sophistication. Be it Mercedes, BMW, Audi, or any other top-class automobile company; it highlights a sense of luxury and royalty with an element of commitment to assure satisfaction. So, do you think that your automobile company’s logo can make some impact in this serious situation? Well, we say “YES” as long as you are adopting the right methodology for logo creation. 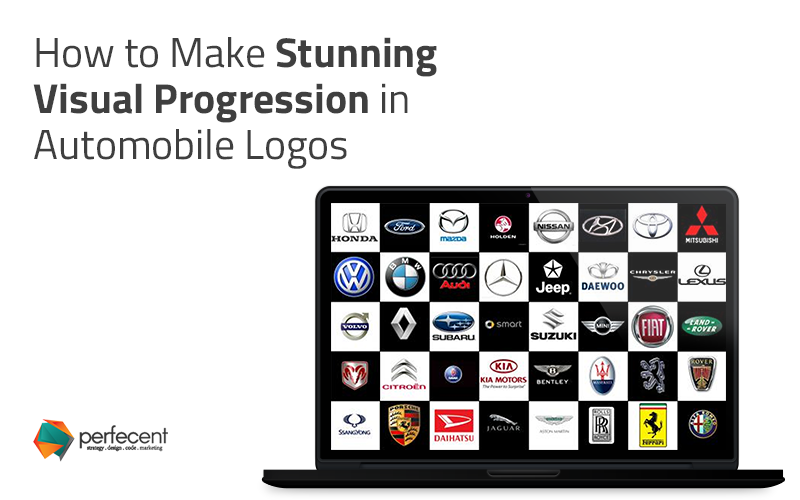 To do so, we have shed light on some of the most legitimate factors that will be sure enough to signify stunning visual progression in your automobile logo. A lot of designers would disagree, but envisioning a subtle touch of simplicity is what shines a logo design. Instead of implementing several graphical elements into a single logo, you should opt for the most basic yet striking elements that force your audience to take notice. An intelligent move here is to play with the initials, as this strategy not only puts your brand in the spotlight but also makes it easier for the audience to recognize. We all have heard about the psychology of colors several times. But, it is crucial to master the psychology of shape as well. What size and shape would enhance the diversity of your brand’s logo should be a significant concern. Your logo should be fair enough to make its presence visible from anywhere. Whether it is used at the bottom of your company’s letterhead or placed on top of the car, it should have the ability to make a substantial statement. Another crucial factor that genuinely helps set the tone of a logo is an appropriate use of fonts. Again, at this point, you should make font selection based on the theme of your company. For this, instead of going over the top, go for the font options that maintain clarity and symbolize an easy-picking yet memorable identity of your brand.